All murmurs of Barcelona being in a crisis and rumors rife about a possible departure of Lionel Messi from the Catalan club have been put to rest by a roaring performance in the last one month. Last Monday's 5-2 crushing of Athletico Bilbao was testimony to the club's awesome mid-season revival. The redoubtable Barca trio of forwards got four of those five goals giving the Catalans their ninth win on the trot. Although the in-form Villareal was one side that troubled Barcelona no end at the beginning of the Spanish season, they didn't look the same in their first leg Copa del Rey semi-final clash against the Catalans yesterday. 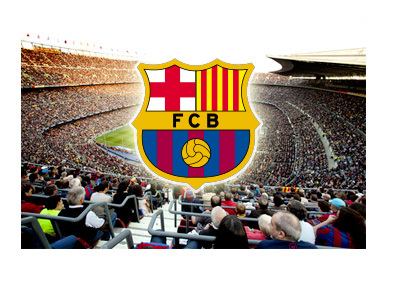 Barcelona overcame their rivals 3-1 at Nou Camp and completed a run of ten consecutive wins. With 37 goals from 10 matches of which Messi himself has scored eleven, Barca are back in the reckoning. Luis Enrique whose tactics were under a cloud has proved his critics wrong and has brought about a kind of cohesion to the Messi-Neymar-Suarez attack trio that has helped his team come within a point of leaders Real Madrid in the La Liga sweepstakes and may probably go all the way to lift the Copa del Rey this year. Although Luis Suarez has been finding it difficult to be among the goals, getting just four since his advent into the Barcelona side, he looked to be in his elements against Atletico Bilbao where he found the back of the net in the 26th minute. In yesterday's encounter against Villareal he was the game-maker, setting up Messi for the 1st goal of the match and the Argentine's 34th for the season. Although he seems to be combining well with Neymar of late Suarez has some catching up to do with the young Brazilian who has scored as many as 16 goals and provided 4 assists this season. Neymar squandered a chance in yesterday's game to put Barca 4-1 ahead when he missed a penalty. He wasn't at his sparkling best like he was when he scored a brace in the last Copa del Rey encounter with Atletico Madrid that helped his club win 4-2 on aggregate. Although all three were not among the goals against Villareal yesterday, there is no telling the influence of this trio on the change of their club's fortunes of late. As a combined entity the Barca trio are proving to be one of the most potent attacking force in world football today. With a tally of 43 goals and 27 assists from 55 matches, the Barca trio are just behind the Real madrid combine of Ronaldo, Benzema and Bale who have 49 goals and 22 assists from 58 matches. Elsewhere in Europe, the Diego Costa-Oscar-Eden Hazard combine of Chelsea is at a distant third with 32 goals and 14 assists. With the Barca attack trio in such crying form, the Catalans will be trying to replicate Real madrid's feat of winning four titles last season and their lethal attacking trio could very well make that a possibility. It's like Barca of the old.